Husband-and-wife team Kristen Patrick, PhD, and Robert Watson, PhD, MPH, both assistant professors at the College of Medicine, use yeast to study bacteria and how they infect us. 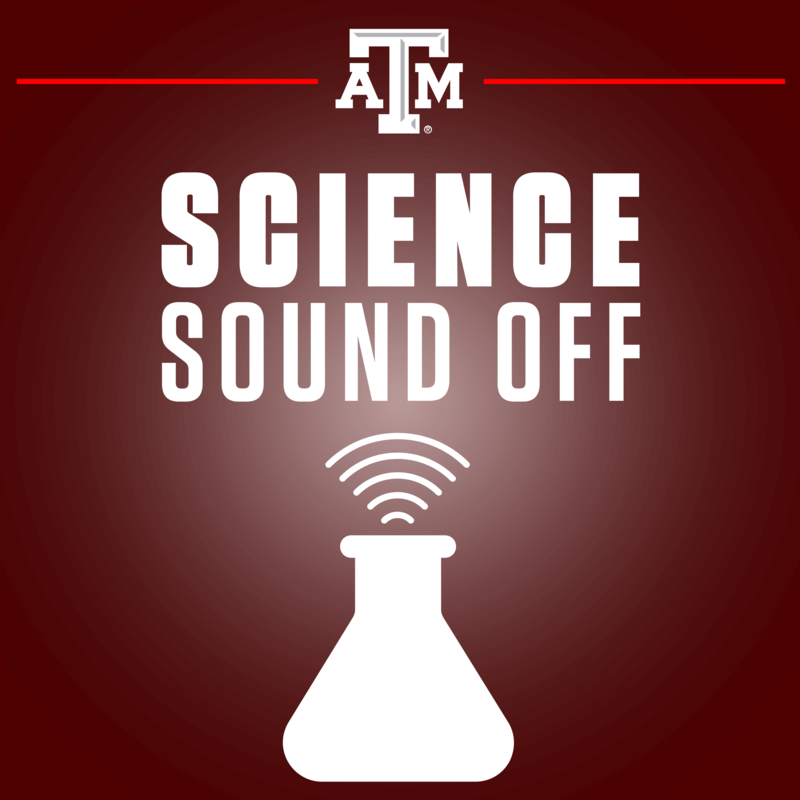 Christina Sumners: Welcome to Science Sound Off; I’m Christina Sumners, and with me today are two assistant professors from the Texas A&M College of Medicine, Robert Watson and Kristin Patrick. They’re also husband and wife. Welcome, Dr. Watson and Dr. Patrick. Kristin Patrick: Thanks for having us. Robert Watson: Thanks, we’re excited to be here. Christina Sumners: Well, maybe could we just start by talking a little bit about yourselves? What is your background, and what is your lab like? Robert Watson: Since it’s the Patrick Watson Lab, I think Kristin should go first. Kristin Patrick: Well, for alphabetical order’s sake. I am an RNA biologist by training, so I’m interested in fundamental aspects of gene expression, how our cells go from DNA to RNA to protein. Since we’ve been here for about three and a half years now, at A&M, we’ve been working together to combine my interest in fundamental basic science, with Robbie’s interest, as he’ll tell you in a second, in the innate immune response. We’re interested in how gene expression changes when your cells become infected. Robert Watson: My background is host pathogen interactions, and my training basically is looking at how intracellular bacteria or bacteria interact with our cells and with our immune system, and how they can get around these things and make us sick. We look at the molecular details of those interactions, and we understand what the host developed in order to kind of kill the bacteria and control bacterial infection, and what specific adaptations the bacteria have evolved, co-evoled with humans with, to make us sick and to establish an infection. That’s my interest and that’s how we’re combining our interests together into one super lab. Kristin Patrick: I like that, super lab. Christina Sumners: Fantastic, so maybe …You just had a paper published in the Cell Systems journal. Maybe you could tell us a little bit about that. What did y’all find? Kristin Patrick: Yeah, so this paper is a long time coming. I’ll give you a little bit of background. Robbie and I came up for the concept of the screen, this paper is based on, what, like seven or eight years ago now? It was a while. Robert Watson: Three plus, yeah, probably seven or eight years ago. Kristin Patrick: Over a bottle of Malbec in Mendoza, Argentina, and we were just talking about ways that we can combine our science, and during my postdoc at University of California San Francisco, I did this yeast genetic screen. To explain what a yeast genetic screen is, in the most basic terms, it’s basically taking two mutant yeast and then, who each have a defect in one gene, and then combining them so you end up with a double mutant yeast. Based on how that yeast grows, you can identify relationships between genes. To give you an example, you have a computer, right? We all use a laptop computer. If you have a problem with your R button and a problem with your touch pad, now your computer is a little bit janky, right? You have trouble typing, you have some typos, you can’t really use the mouse, but you can still get around it. If you had a problem with your touch pad, and your external mouse broke, now you have a pretty much broken computer, right? You can’t use your cursor at all. It’s the same way when we study mutations in yeast. If you have mutations in two things that are similar, you end up with a very sick yeast, because now the yeast has two defects in similar pathways, whereas if you have two mutations in totally different things, maybe the yeast are a little bit sick, but not, but they can get over it. We use that principal now in this paper, to identify how these things called bacterial effector proteins, that are virulence factors, how they interact with the cell. I think Robbie can give you a little bit more information about what these effector proteins are. Robert Watson: Yeah, so that was her system, and I was a postdoc at UCSF too. We were actually right down the hall from, two labs down in the same floor, walk back and forth all the time. I was interested again, in how bacterial pathogens can make us sick, basically, and interact with our cells to make us sick. I was working at the time, working on tuberculosis, but I also have a background in working on enteric pathogens, things that cause diarrhea, such as salmonella campylobacter, and all of these pathogens are what are called intracellular pathogens. That means they live intracellularly, or inside our host cells. All of these intracellular pathogens, and many of these pathogens, encode these things called secretion systems. What these things are, are basically, nano syringes. They inject what Kristin called effector proteins, these proteins inside the cell, and these reprogram the cell such that, they either can gain intracellular access or establish a little home for themselves. These things are really key for establishing a niche, right, and for virulence and to make us sick. We are really interested in how these function during infection, but we actually, just looking at them, we have no idea what they are. You just look at the sequence of the protein, you know that they’re secreted by these different analogate systems, but you have no idea actually their function, and so what do you do? Well, you can do a lot of things, but one of the things we want to do is use this yeasts system and make the assumption that they target specific pathways inside that are conserved between yeast and mammals, and use this system to see if we can get some idea of what they do. Robert Watson: I’m glad you know how to say that name. I can never say Paul’s name, last name. Kristin Patrick: You better edit that. Kristin Patrick: Jim and Paul’s lab are interested in a bacteria called coxiella burnetti and brucella melitensis, respectively. These are two intracellular bacteria. They’re not really widely studied, but both are zoonoses. We can get them both by exposure to farm animals, like sheep, or cows, or pigs. They both have these secretion systems that Robbie talked about, and hundreds and hundreds of these proteins that we literally know nothing about. It was great; we did this work as a collaboration, and we screened a set of proteins that were from coxiella, a set of proteins from brucella, and a set of proteins from salmonella, and asked the question, merely: “How does expressing these proteins in mutant yeast make the yeast grow differently?” Just by using growth of yeast as a measurement, we were able to identify pathways that were targeted by these different effector proteins. Christina Sumners: Interesting. Going back up for a second here. Salmonella, it’s a pretty common foodborne pathogen. What made you target that one specifically? Robert Watson: I was a graduate student in Jorge Galan’s lab at Yale University, and he’s a very well known host pathogen person, a bacterial patho-geneticist professor. He actually discovered the type three secretion, or these nano syringes, in salmonella, so I have a background in having handled and experienced in dealing with salmonella. In addition to that, because he was one of the first researchers to find the secretion system, and really understand what a lot of these effectors do, we actually included some known effector proteins, kind of as a control. He was the first study to actually pioneer this field, and because of his work and a lot of other people that I don’t have time to give credit for in the field, some of these kind of effector proteins that we use in the screen, were used, were well known of what they do, because of his work we included in the screen, to get an idea, to use as a control, so that we can know that our screen was working. Robert Watson: That was kind of how salmonella, most of salmonella. In addition to that, there’s actually a lot of unknown effectors proteins in salmonella. We use it because of my background and because it’s a good positive control. It told us that the screen was working but we could also …We actually ended up identifying a salmonella protein, a protein of unknown function, actually it turned out, in the screen, and so we actually included some unknown ones that their role in infection was totally unknown. Kristin Patrick: Yeah, and to give you a real life example of one of those functions, one of the top, or the strongest positive controls in our screen, was this protein from salmonella called SPTP. Its name is not important, but what it does is. When it’s secreted by salmonella into our cells, it reprograms the actin cytoskeleton. Essentially, for salmonella to get into a cell, a non-phagocytic cell specifically, in our intestinal tract, it needs to make these big rearrangements of actin, so the cell actually engulfs the pathogen, but once it’s inside the cell it needs to fix the actin cytoskeleton, otherwise the cell’s going to get really upset. It uses this protein SPTP, which has a bunch of biochemical functions, but the end result is that it reprograms the actin cytoskeleton. We put in SPTP into our screen, and when we asked, “Well, what pathways in the cell, what yeast mutants were especially sensitive to having SPTP expressed inside them?” we saw it was a lot of mutants involved in the actin cytoskeleton. That was, sort of we call, proof of principal. That told us that the screen was working and that it was recapitulating biology that we already knew. Christina Sumners: I think that might surprise a lot of people, that yeast can really tell us something about ourselves. Kristin Patrick: Yeah, the power of yeast genetics is a term that people have been using for a while, but it really is strong, just because we have an entire yeast deletion library. We have mutant yeast that have a defect in every single non-essential gene, and actually, a bunch of mutations in essential genes as well now. We can really query an entire eukaryotic cell. Yeah, it is surprising, but it’s pretty remarkable, I think, that actin cytoskeleton and endocytic trafficking, and how our DNA is replicated, that’s all the same. That hasn’t changed throughout evolution, so a lot of these pathways targeted by pathogens can be queried in yeast, and that is a super simple model. It grows fast, it’s cheap, a lot of things that are very difficult to do in a mammalian system. Although, now it’s becoming easier because of CRISPR-Cas9 technology. Up until then, you couldn’t really genetically reprogram a mammalian cell, so yeast were really the workhorse of all genetics. Robert Watson: I think it’s amazing. It says something about, also these pathogens. All of these pathogens that we’re looking at have co-evolved with their host, whether it’s an animal or certainly humans, for hundreds of thousands of years. These proteins that are injected by these syringes, have really, it hits conserved pathways. I think that our yeast screen shows that really these pathways are conserved, as Kristin was mentioning, really conserved, whether it’s how vesicles traffic inside a cell, move things around, whether it’s the cytoskeletal elements, but a lot of these signaling pathways and the things that these pathogens target are conserved from mammalians all the way down into yeast. Our screen told us that, basically. It really, I think, tells us the power of the yeast. Now, I would say not to undermine the study or whatever, but there are limitations. These aren’t immune cells. Immune cells have evolved to detect and respond to a pathogen, right? Not to any old bacteria or virus that’s in the environment, but really the amazing thing about our immune system is it can distinguish between what is a pathogen and what is not a pathogen. There are these signaling pathways and these sensors that can detect these pathogen associated patterns. That’s one thing that’s missing, and we’re thinking about some other screens possibly, that can incorporate some of these ideas, because that’s one thing that a yeast do not have, right? They don’t have an immune system. If a pathogen targets something and doesn’t want … Inhibits an immune function, basically, that’s something that yeast will not have and something that will not be discovered by this particular screen. That’s something we have to keep in mind, that we’re thinking about that a protein, that virulence factor that target these kinds of pathways. The yeast won’t uncover their function in this way. Christina Sumners: That makes sense. What are some of the next steps now, that you have? Kristin Patrick: The biggest finding, the biggest novel finding of this screen was that one of the proteins that really forms the tip of this nano syringe that Robbie referenced earlier, is called SSEC, and it’s expressed once salmonella has been inside our cells for a couple of hours. Salmonella lives inside an endosome, which is like a bag that protects it from the rest of the cell. It’s a way that it can hide out inside the cell, and before it’s ready to infect other cells. One of the main things salmonella needs to do when it’s inside your cell, is to avoid fusion with lysosomes. Lysosomes, if you remember from high school biology, or even further back, remember your learning about the organelles, the endoplasmic reticulum, and the golgi apparatus. Well, the lysosome is the bag of enzymes that degrades things. Anything that is damaged in your cell, or even a pathogen that’s invading your cell, needs to go to a lysosome so the cell can destroy it. Salmonella obviously doesn’t want to go to a lysosome, because that would be a sad place for it. It’s evolved ways to avoid fusion with lysosomes. Obviously, that’s a major virulence phenomenon. If we can figure out a way to make salmonella go to a lysosome, then that would be a way that our cells could destroy it. It’s an important mechanism to study, and we found that this protein, SSEC, this part of the translocon pore, it’s called, actually interacts with this complex in our cells called the retromer. We found this in yeast, and the retromer is a complex that traffics endosomes around your cell, and it basically either takes them to the golgi apparatus or it takes them to the plasma membrane, but it takes them away from lysosomes. It’s the exact thing that salmonella wants to co-opt. We found in yeast that these retromer mutants looked exactly like cells expressing SSEC through out genetic profiling. We thought that was really interesting, and then we wanted to follow up on that in mammalian cells, and ask, “Well, does that happen in real life?” We infected HeLa cells as well as human macrophages with salmonella, or we expressed SSEC in some of our experiments, and we found that there are defects in cell traffic, in endosomal trafficking in the presence of this protein. Then if you take away the retromer in a human cell, then salmonella has a replication defect. Basically, what we showed is that yeast told us that the retromer was being targeted by this SSEC protein, and then when we looked in human cells, we found that the retromer was an important thing that the salmonella needed to recruit to its vacuole and interact with in order to maintain its ability to replicate. We have some beautiful biochemistry in this paper that was done by a collaborator here at main campus at A&M, Dr. Pingwei Li, and they showed that this salmonella protein, SSEC, directly interacts with two components of this retromer complex in human cells. They can show in vitro when you just express these three proteins, that they interact. That’s a really, like the best, the gold standard for showing that proteins interact. We’re pretty confident that that is what’s going on in the cell, and now we’re doing additional experiments to figure out what are the consequences of that interaction and what happens if we can mutate that interaction, what happens to salmonella. Robert Watson: I think what we’re finding, I think, our studies and some of a lot of other people’s studies, are actually finding that a lot of pathogens target the retromer, in fact. It has been shown that both chlamydia and legionella, they’re both intracellular bacterial pathogens, they also can target and manipulate this thing that we’re calling the retromer, and exploit it for their benefit, to establish a nice little home for themselves inside a cell. It seems like it’s actually emerging that this is a common theme in host pathogen, and this is a very common … It seems like pathogens have evolved to target this for their benefit, this retromer for their benefit. That’s a really interesting, I think, a really good area, and we’re going to be able to really compare and contrast these different lifestyles of these pathogens, and see how they manipulate the retromer in order to establish this niche we’re talking about. Kristin Patrick: Again, the exciting thing is that this, our interest in salmonella and its interaction with the retromer, came from this yeast screen. Really, people weren’t looking at the retromer as a major component of the salmonella containing vacuole, previously. That was the most exciting, I think, thing to come out. What’s next for us is we’d like to expand on this screen and screen other effector proteins. The cool thing that that will allow us to do is to start to compare and contrast the effectors themselves. We tried to do this with a set of effectors that we screened. We screened 36 different effectors, but I think it’s just not quite enough yet. Imagine if we had hundreds of effectors, and we had multiple effectors that interfaced with the actin cytoskeleton, or interfaced with the retromer. Then we can start to draw these really interesting evolutionary comparisons between effector proteins from completely different bacterial pathogens. That requires us to scale up the screen considerably, and we’ve been struggling with this, because the screen itself was actually done at UCSF with the help and guidance of my post doc advisor, Nevan Krogan, who basically gave us access to this robot. You can imagine if you have a yeast library of about five thousand mutants. The way this is done is that you plate, it’s actually in 15 36 format. Picture a rectangle of agar, which is basically science jello. We have a science jello rectangle with 1,536 different yeast colonies on it. They’re tiny, tiny little colonies. Each colony has a different mutation in it. It’s on three plates. What we do is we have a plate that has our bacterial effector expressing strain, and then we cross that, we basically, the robot, takes its arm and it mixes those cells on one plate, and it moves them over onto the other one, and mixes it onto the other one, and it does this in a very, very precise way, right? These 15 36 colonies, you can see them, but if I were to try to touch one with a pipette, and then touch the exact same one on the other plate, god, there’s a 90% chance I’d get the wrong one, right? You need the precision of a robot. This robot, unfortunately, is pretty expensive. The screen itself is pretty laborious. It’s about two weeks you’re on the robot, eight, ten hours a day. I did this seven months pregnant, by the way. I’m going to put that out there. We had to get it done before the baby came, and we did. It’s not the greatest screen. It’s been very powerful, but now thinking of doing it more, and here at A&M we want to see if we can improve upon it. Again, in a glorious collaborative effort, we’ve started working with Craig Caplan in the biology department, who has done this type of yeast screening in the past, this agar based yeast screening, but is now developing a way to do it in liquid, where instead of having all the colonies individual on a plate, you combine them, and instead of measuring yeast growth just by taking a picture of the colony size, you use sequencing to sequence a barcode that’s unique in each of the yeast mutants. Because sequencing costs have become so low in recent years, and because we have access to these great DNA sequencing, and RNA sequencing capacities here, we can now hopefully do this screen in liquid and just sequence out all the barcodes of the different mutants, and if you have few of a barcode, which is just a little unique sequence, is what a barcode means, if you have very few of those reads in your sequencing, that would mean that yeast doesn’t grow very well, and if you had a lot of reads from particular barcode, that would mean that a yeast grows better. It’s really a proxy for growth. Now we’re trying to adapt that technology to our screen, and we’re doing that as we speak. Hopefully, we’ll be able to scale up in a way that does not require this robot, and does not require being on your feet for 10 hours a day, and is also probably equally sensitive and as powerful. Robert Watson: I think building upon the yeast screen and this format, what’s the next step, right? One of the things I just told you about is that we’re missing …This is not a mammalian cell, right? We’re missing pathways evolve specifically mammalian cells, we’re missing innate immune pathways and those kinds of things. Actually, beyond that, we’re actually thinking about now doing a screen in human cells. One of my best friends, Cole Dovey, actually, he’s at Stanford. He’s a post doc at Stanford. I should say Dr. Cole Dovey. He’s in Dr. Jan Carette’s lab. What Dr. Carette has actually, the reason he’s in business is he actually was one of the first people to use these cells called HAP1s; they’re actually haploid. They only have half a copy of genetic information. We all have two copies. The reason why yeast is so powerful and it’s easy to make a knock-out, a deletion in one gene, is because they’re only haploid also. These mammalian cells only have a half a copy, and therefore only one copy of each gene. It’s really easy to use this CRISPR-Cas9 technology that everybody’s talking about, to knock out individual genes. In the same way that we’re going to do population based yeast, we’re actually going to use yeast HAP1 cells, and do a very similar type screen in these cells, using CRISPR-Cas9 and expressing effector proteins, and looking at seeing which mutants really stick upon expression of these effectors, or which ones are more resistant, which mutants are more resistant. Beyond that, I think we want to take, and that’s the next step. Beyond that, we actually really want to use, we use macrophages, TB. Tuberculosis actually infects macrophages. They’re an innate immune cell. We’re going to actually develop this screen probably in macrophage. That’s kind of not imminent, but I think that’s what we’re shooting for because that’s really the all …Everything we want is in that cell. We can screen any kind of protein that we want, basically, in a macrophage. Robert Watson: We’re really just developing multiple genetic screening platforms to manipulate a host, whether it be a yeast, or a haploid human cell, or a macrophage. Say, if we get rid of certain genes, how does the cell respond to expression of an effector protein? You can do this high throughput, in a way where we can look at almost all the genes in the cell. We call it a hypothesis-generating experiment. It’s not going to tell us exactly mechanistically, what each of these effectors do, but you will literally go from, this is just an amino acid sequence, I know nothing about this protein, to now saying, Oh look, it looks like a lot of these mutants coming up, have to do with endocytic trafficking, or have to do with chromative remodeling or have to do with pre MRNA splicing. Then as an investigator, you can follow up on those things. We think it would be a really good resource for the community at large, and we’re looking for some outside of A&M collaborations as well, to bring in other bacteria. It’s also just a really neat way for a pathogen that we don’t know much about. There’s a bunch of emerging bacterial pathogens that are really poorly studied, that we can start to identify how they target out cells using these completely unbiased approaches. Christina Sumners: Well, we’ll look forward to following up with you guys as you continue on these experiments. Thank you so much to both of you for being with us today here on Science Sound Off. Kristin Patrick: Thank you; it was fun. Robert Watson: Thank you for having us; it was really fun. Christina Sumners: Thank you for joining us, and we’ll see you next time.